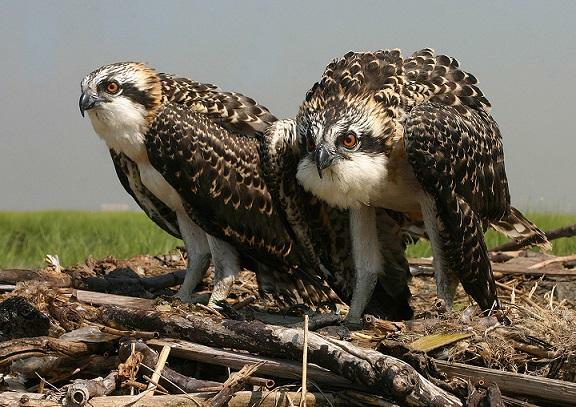 Ospreys of Jamaica Bay, photo by Don Riepe. Go stargazing with the Brooklyn Amateur Astronomers Association. Cancelled if overcast. Dress warmly! Good, Bad or Just Misunderstood? Join us for a presentation on a contrarian approach to the common human aversion to spiders. We will look at cultural and psychological responses to arachnids, including behavioral studies of people's reaction to the sight of spiders and other creepy crawlers as well as attitudes towards spiders in cultures around the world. Learn all about the amazing Osprey on this guided walk of the West Pond Trail. We will talk about their incredible migration and the inspiring story of how conservation efforts were able to bring this species back from the brink. ♥ 1.7 miles. Clean Ocean Action's Beach Sweeps is a biannual, statewide beach cleanup that occurs at over 70 locations throughout the state of New Jersey. Each beach sweeper becomes a citizen scientist for the day as they record each piece of debris that they collect. This turns a one-day, cleanup event, into a legacy of data that impacts research and legislation. For more information, please visit Clean Ocean Action's website:www.cleanoceanaction.org or call (732) 872-0111.